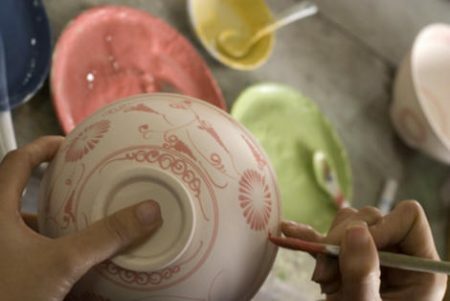 Paint the ceramic over the entire surface with 2 layers of paint. 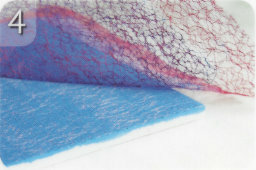 The net is placed in the slightly damp color. 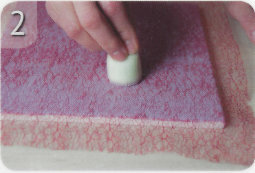 Press down well with a sponge and smother thicker nets with the same color. dab with the sponge the contrasting color over it. 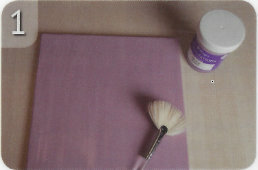 Tip: lower color lighter and upper color darker, gives the most beautiful result. As soon as the color stops shining, the net is pulled off. 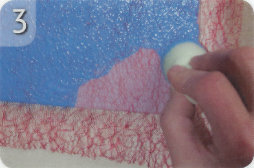 Tip: This technique works better on flat pieces.